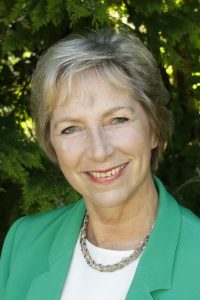 Pam Rhodes, author and BBC Songs of Praise presenter, will be visiting Sherborne on Saturday 25 May, as part of a book tour to promote her latest release, Arthur’s Garden: Up the garden path, down memory lane. In association with Winstone’s Books, we’ll host a special author event and book signing from 7pm in The Butterfly House. A collection of heart-warming songs and poems, along with advice on managing an English garden, this is a gardening book with a story to tell. Told through the life of Pam’s great-uncle Arthur, the book covers the life of an ordinary English family from 1906 to the present day. Tickets cost £5 and are available to purchase at Winstone’s Books on Cheap Street, Sherborne and at Castle Gardens and free refreshments will be provided by The Walled Garden Restaurant.